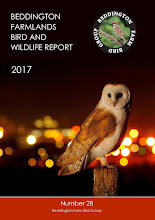 2011 was all about pan-species listing as our bird and wildlife group started drawing up an inventory of all the wildlife at our patch ahead of further developments in the creation of a public nature reserve. Birding highlights included the site's first Black Kite and 'Kumlien's' Gull, another Common Crane in the spring and a wintering Cetti's Warbler. 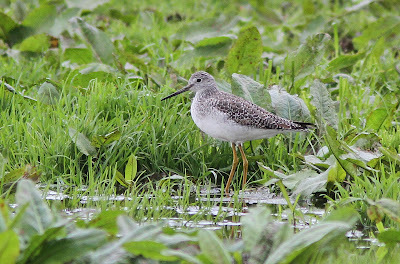 The Beddington Bird List now stands at 255. 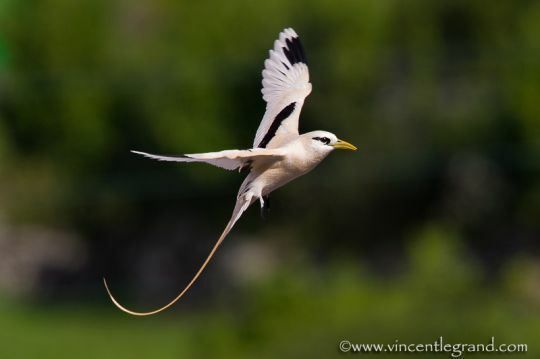 Other wildlife highlights included the discovery of the only UK population of Dewick's Plusia moth and the discovery of Common Lizards on site. There were also several first's for Beddington as a result of the pan-species searches. Will certainly be interesting to see the total for the pan species list when we complete it. 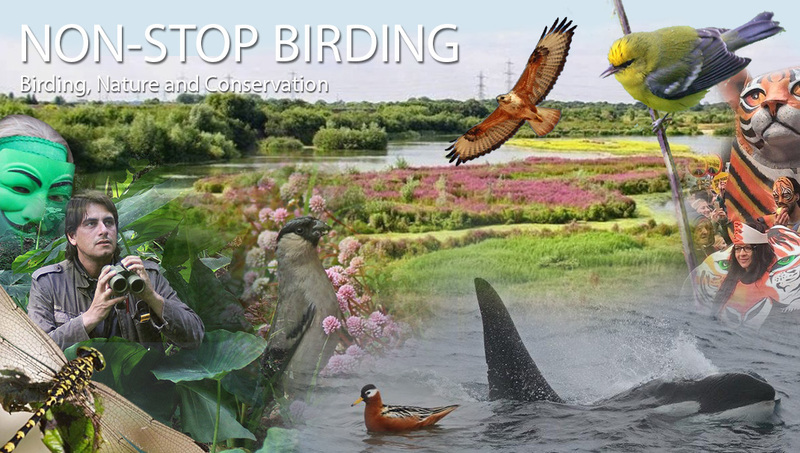 The August exhibition at the Carshalton Environmental Fair was a good success and on the conservation front reed planting and wildflower meadow planting was carried out with the help of the WWT and the RSPB led London Tree Sparrow Partnership generated a lot of interest. The Birds of Beddington Farmlands was finally published and available for purchase in January. Film makers for the Natural World were present in the winter filming the gulls for a programme due in summer 2012. It was a good spring for Wheatears with birds favouring the restored landfill cell mounds. Reed Planting in August is aimed at hopefully attracting Bitterns and other reed habitat species in the future. As part of the London Tree Sparrow Partnership, young Tree Sparrows were fitted with coloured rings in a project to track their movements and help with their conservation. Common Lizards were discovered in the summer under survey matts. Dewick's Plusia were discovered in August- the only known UK population. To connect the nature reserve to the local village Hackbridge and River wandle work commenced on creating green corridors. Cetti's Warbler. 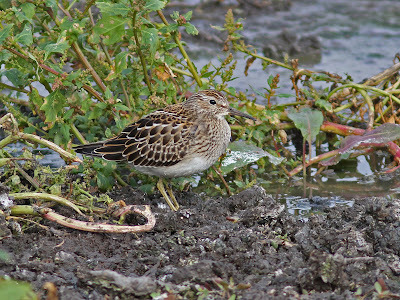 This singing male arrived in October and was present till December. Seems to be a general consensus on opinion that this is a Kumlien's Gull (see below for more photos). 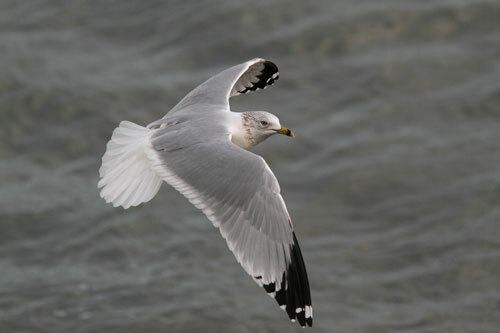 Martin Garner has also kindly commented that he agreed that this bird showed the key features that he associated with juvenile/first winter Kumlien's Gull. So I guess if there seems to be a general favour than this is a first for Beddington.. but as it's a taxonomic enigma not sure where and what list it is going to go on !? Is it a hybrid, a good species formed as a result of hybridisation or a sub-species of Iceland Gull? It's a bit of a taxonomic wild horse. Frank found three of these under a door along the path. Either Wood Mouse or Yellow-necked Mouse we think. I finally managed to catch up with the two 'Iceland Gulls' that have been putting in occasional appearances at Beddington. One is a rather typical nominate 2nd-winter bird and the other is a juvenile/first-winter which shows features which appear to be consistent with 'Kumlien's Gull' (from Canada). An overall greyish, coarsely marked bird with a dark bill, dark washed primaries and a well defined smooth dark tail band. Dark wash on the outer primaries, increasing in extent from p5-p10, mainly confined to the outer webs, producing a venetian blind effect. 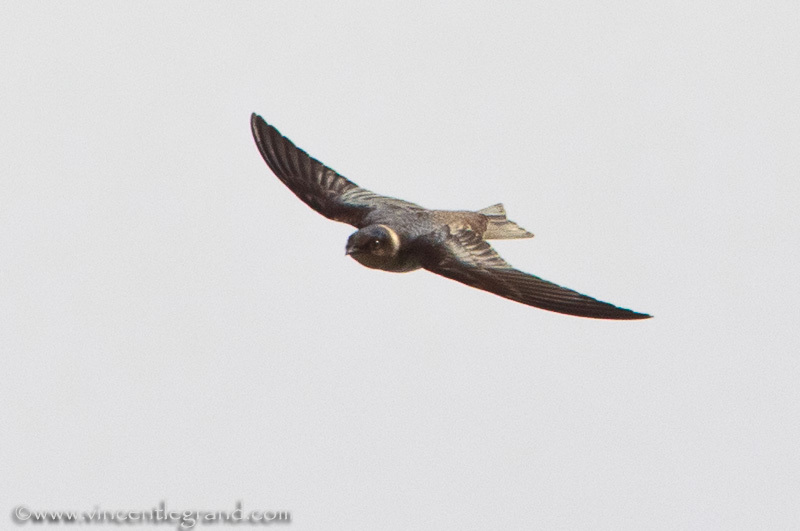 The bird shows an obvious dark tail band, the retrices appearing to be rather uniformly dark with pale tips. 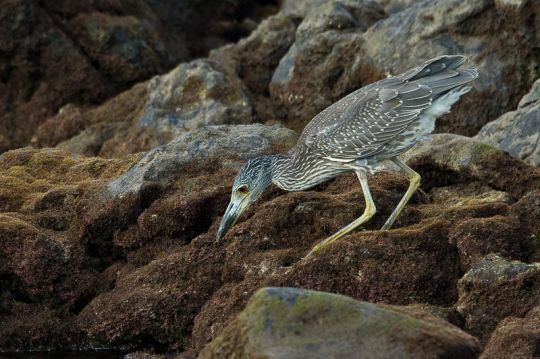 A trip in February to see the wintering Yellow-crowned Night Heron also produced a good haul of wintering vagrants. Aythya selection box with Lesser Scaup, Bufflehead, Greater Scaup and Tufted Duck. Ring-necked Ducks were just out of view. 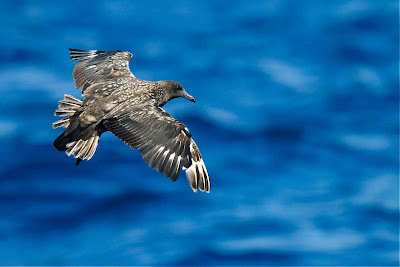 In June a group of us went on an exploration pelagic from Graciosa investigating the largely unchartered birding waters in search of endemic seabirds and rare pterdromas. Azores Bullfinch. 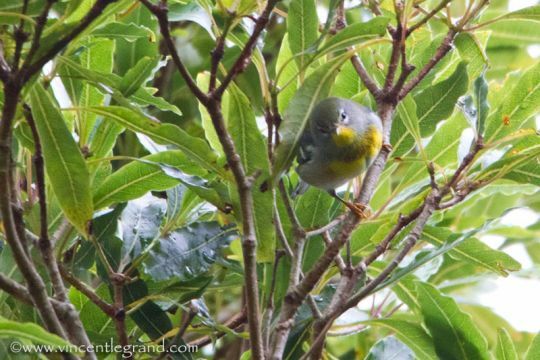 One the way to Graciosa we stopped off at Sao Miguel to get the endemic Azores Bullfinch. Monteiro's Petrel (Richard Bonser). 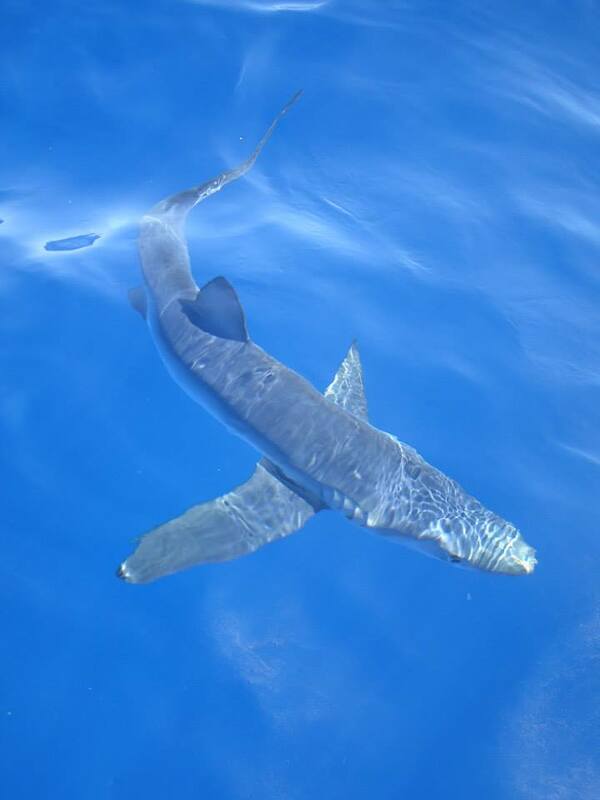 This recently described species was one of the main targets of our trip. 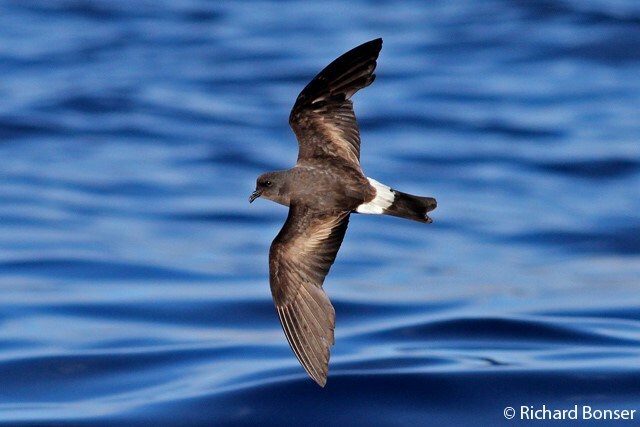 Wilson's Petrel (Richard Bonser). Up to 15 birds were found feeding in the 'Sea of Fortune'. 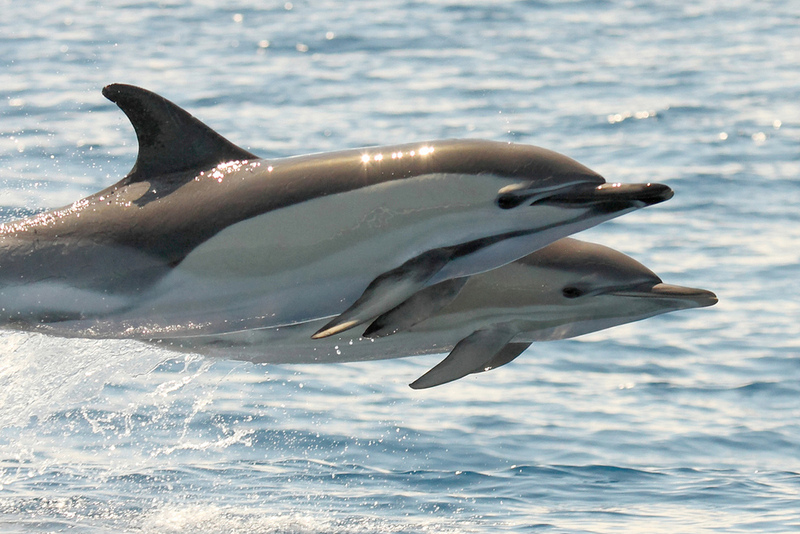 Common Dolphins (Gareth Knass). 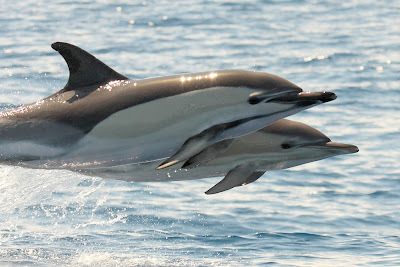 Other cetaceans seen included Cuvier's Beaked Whales and Risso's Dolphin. 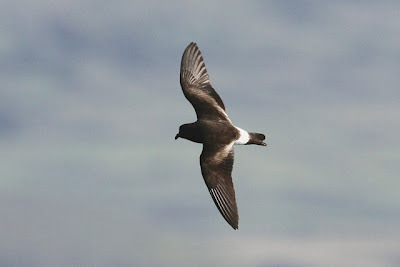 In addition to the endemic birds we also found a Sooty Tern and several large skuas whose identity are yet to be fully confirmed. The ritual pilgrimage to Corvo proved to yet another great year.